“13 Reasons Why” season 3 has bee renewed for another run and this was announced by Netflix on June 6, 2018. The good news came just three weeks after the second installment starts airing. As noted on Variety, “13 Reasons Why” season 3 will feature just 13 episodes and will filming began last year as well. With this schedule, it was deduced that it will premiere sometime this year. For the “13 Reasons Why” season 3, it will retain its showrunner, Brian Yorkey who is also the show’s creator. He will co-executive produced the third installment with Selena Gomez, Joy Gorman, Kristel Laiblin, Mandy Teefey, Steve Golin and Tom McCarthy. Netflix will still release the show in its streaming platform. Since “13 Reasons Why” season 3 is already slated to premiere, see the confirmed cast lineup before it arrives. 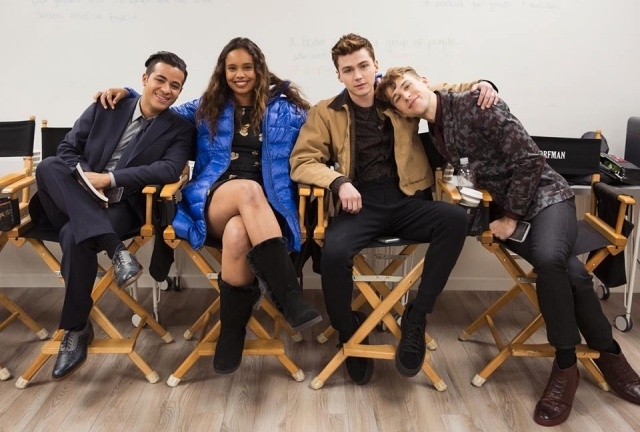 As OtakuKart suggested, most of the series' regulars are returning to reprise their roles and they are Christian Navarro (Tony Padilla), Devin Druid (Tyler Down), Dylan Minnette (Clay Jensen), Alisha Boe (as Jessica Davis) and Brandon Flynn (Justin Foley). And here’s what to expect, “13 Reasons Why” season 3 will pick up from season 2’s aftermath of Hannah’s death by suicide. She left a series of recordings and apparently this will be explored as investigations will ensue. But then again, someone is predicted to make moves in order to stop the truth from being revealed. Moreover, showrunner Brian Yorkey shared that “13 Reasons Why” season 3 will also focus on Tyler who is being bullied. He said that the audience will get to know more about his character and sufferings. "We had a character who was obviously severely bullied, suffering from social isolation, and was thinking of making a very tragic choice in addressing those feelings for himself," Yorkey told Digital Spy. "I think you'll see in the balance of the episodes that it's very much about trying to understand Tyler's character and how a troubled young man might be driven to consider this very difficult choice."